Aromatherapy enthusiasts claim that the scent of cinnamon can reduce irritability, relieve headaches, relax sore muscles, improve circulation, and increase concentration among other amazing benefits. 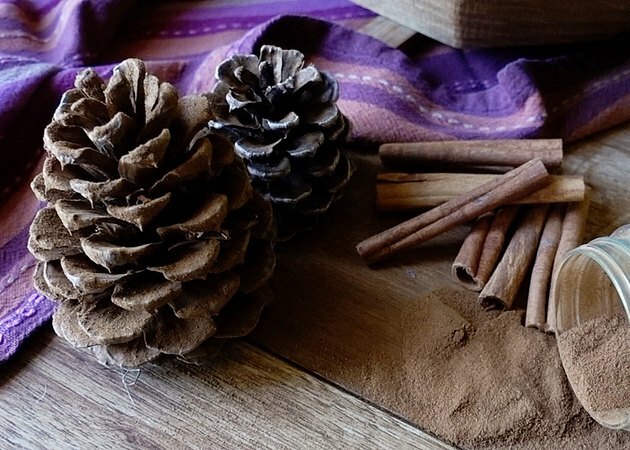 Whether or not these ring true for you, this warm and inviting spice just smells fantastic and brings to mind a host of lovely things like Christmastime, cinnamon buns, and snickerdoodles. 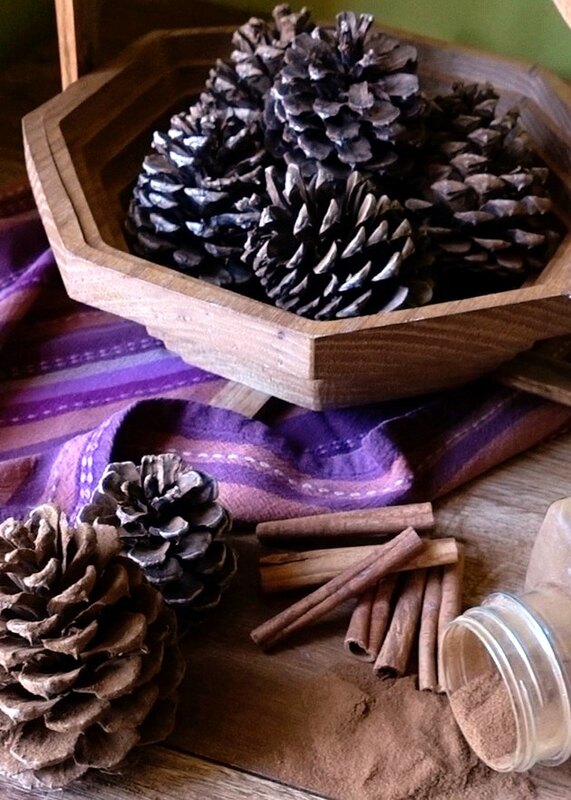 Decorating with cinnamon-scented pinecones is a terrific way to both bathe your home in the intoxicating fragrance as well as bring a bit of nature indoors. 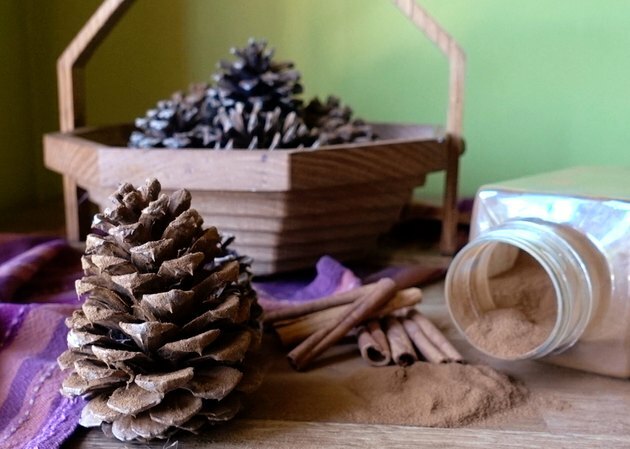 Here are two easy ways to make your own cinnamon pinecones without having to pay retail price. 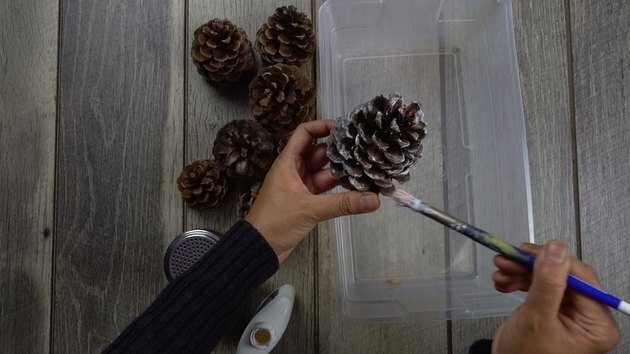 If you've gathered your own pinecones instead of purchasing them from a craft store, you'll have to prep them first. Lay them in a single layer on a cookie sheet and bake for about an hour on the middle rack of your oven at 200 degrees F. This will cause tightly-closed pinecones to open up as well as kill bugs and/or bacteria that may have hitched a ride on them to your home. 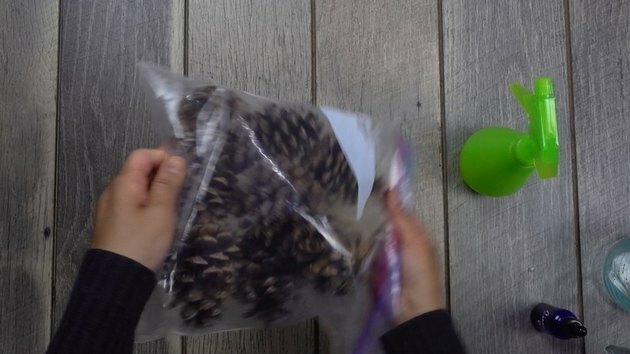 Let the pinecones cool completely before moving on to one of the methods below. Add about 20 drops of cinnamon essential oil to the spray bottle. Add a small amount of water to the bottle -- about 1/8 cup. Shake well. 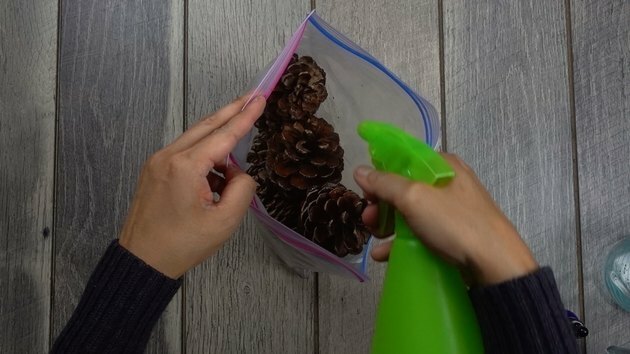 Put pinecones into resealable plastic bag and spray lightly with the solution. Shake the bag to help distribute the fragrance. 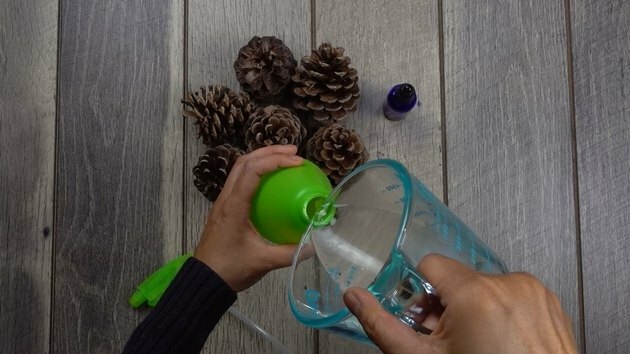 Finally, seal the bag and leave the pinecones to fully infuse the scent. We suggest leaving them for 4 weeks for maximum effect, spraying again with the oil solution again after two weeks. 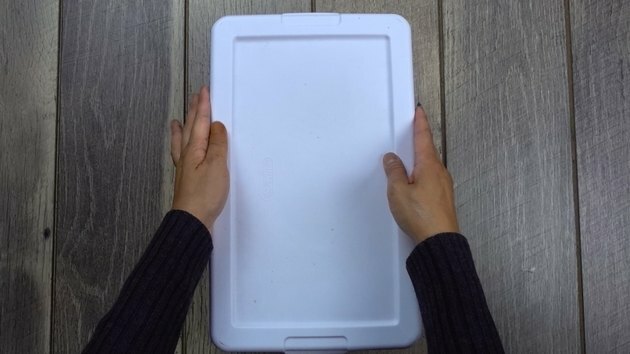 If you want instant results (rather than waiting weeks), this glue-on method takes far less time -- although a little bit messier! 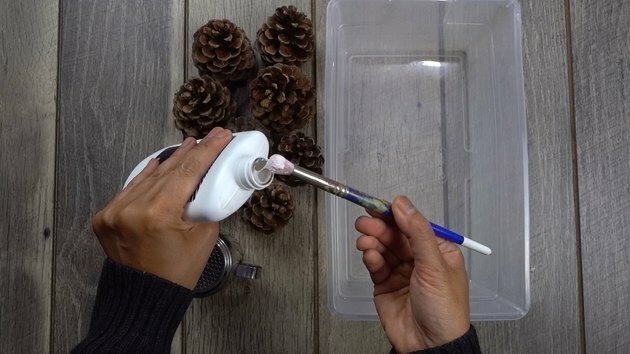 Using your disposable craft brush, thoroughly coat one of the pinecones with a thin layer of glue. Work fairly quickly so that the glue remains tacky and doesn't dry out before the next step. 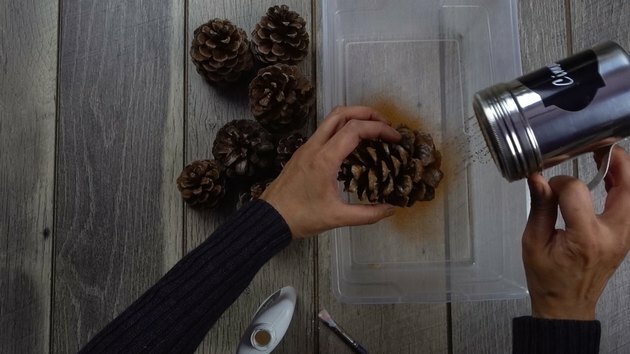 Sprinkle the entire glue-coated pinecone with cinnamon evenly all around and in between the crevices. Repeat steps 1 and 2 for all pinecones. Remove the excess cinnamon by individually shaking each pinecone, or placing all of the pinecones in a sealed container and shaking gently. 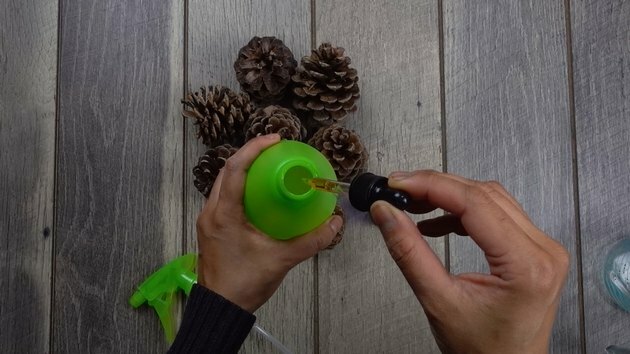 Once the glue has dried, your cinnamon-scented pinecones are ready. 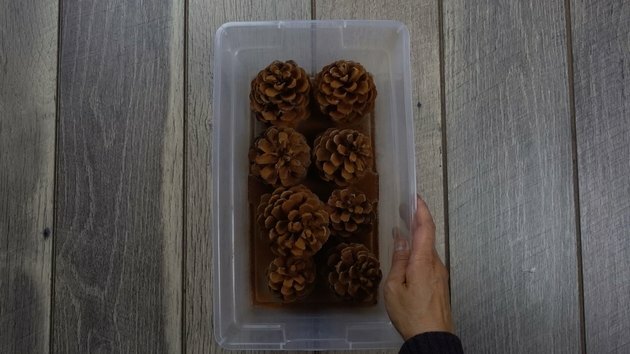 If you'd like to save some pinecones for later use, store them in a airtight container.